I am a huge fan of black and white photos. With the absence of colours, it really draws the viewer to a different dimension- textures, expressions, emotions…In fact, when I get married one day, I might just have my photos in black and white! 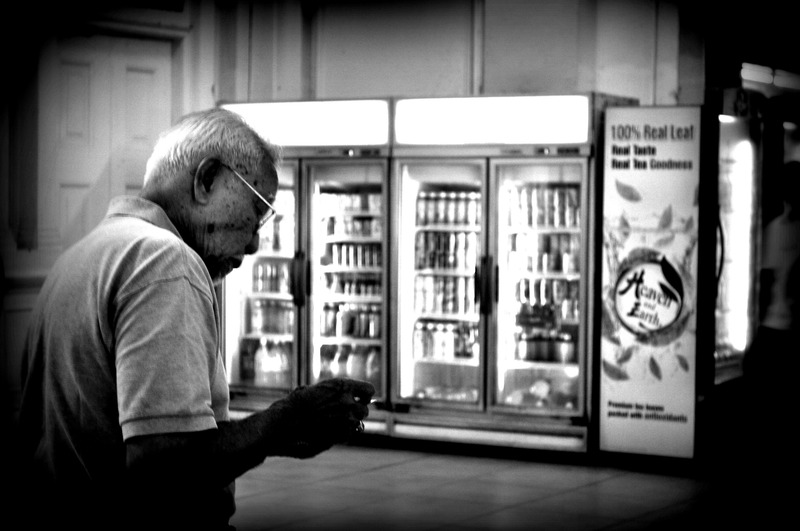 I snapped these shots at the now defunct rail station in Singapore. I saw solitariness in the tasks people were doing and I think black and white shots best exemplify that. Nice, I especially like the first one.